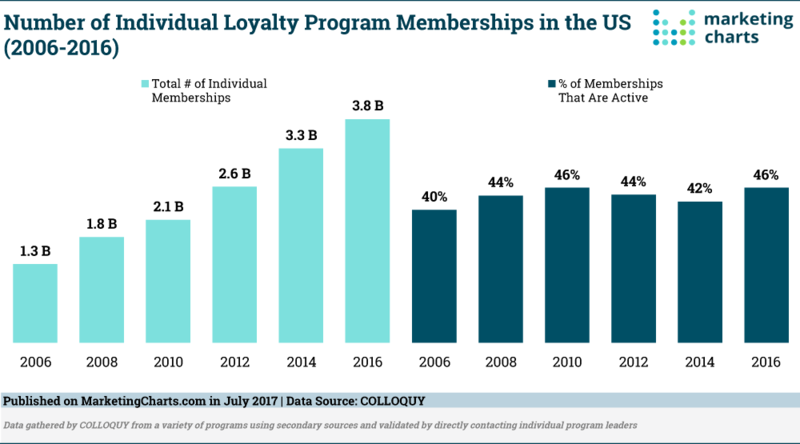 In the second quarter of 2017, 100 million new registrations were made in loyalty programs. A growth of 24% compared to the same period of 2016. The healthy lifestyle industry is booming as more and more people are beginning to care proactively about their physical and emotional well-being. In particular, sports apparel sales have jumped 42% to $270 billion from 2008 to 2018. But although there’s a higher demand for health-related products, some retailers seem to have difficulties. Sports businesses not only satisfied this hunger, but it seems to have over compensated for it. The market is saturated and competition is high. On top of this, fast fashion apparel companies, like H&M and New Yorker, have also carved a space for themselves on the scene with their own athleisure collections. Even illustrious sporting goods retailers like Sports Authority fell victim to the competitive market. In situations like this one, customer loyalty is worth that much more. Having loyal customers, who are proven to buy 90% more often and spend 60% more than other customers, is crucial to succeed in this industry. Let’s see how you, as a sporting goods retailer, can tailor your loyalty program to fulfill the needs of your active, sporty customers and make them stay with you. Want to be part of our retail loyalty program ?